Denne model er 180 cm og bruger en størrelse M. Brystet måler 91 cm og taljen 79 cm. 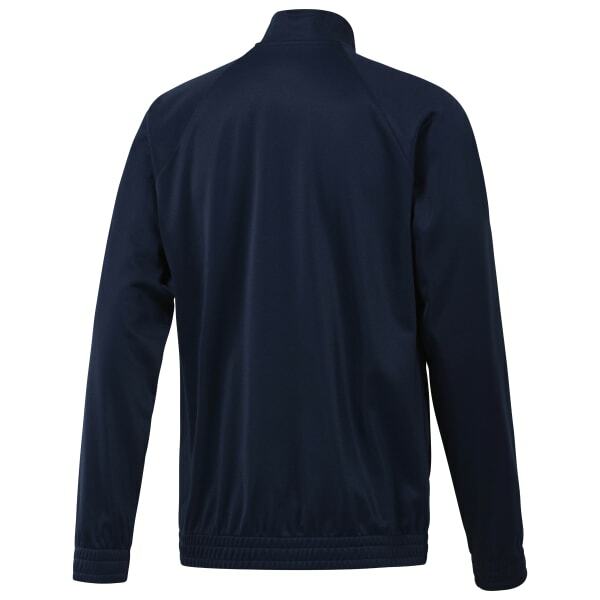 Bring some polish to your casual looks with this men's zip-up tracktop. Double knit for warmth, the higher neckline of this jacket shows off a tailored look that wears well anywhere. Raglan sleeves and a minimalist logo on the chest add subtle details that are pure classic.